Aluminum 2-place drive on / drive off snowmobile trailer, 8.5 x 10 ft. Shown with optional front shield / ramp drive off package. Chilton snowmobile trailers have been hauling snowmobiles for over 25 years. 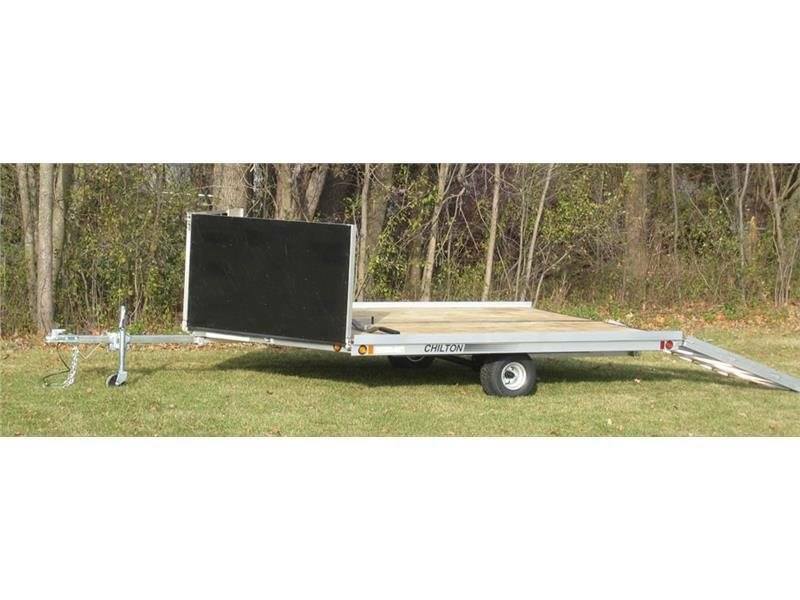 Years of experience have resulted in making the trailer that sets the standard for hauling sleds in the Midwest. Sealed rubber mounted type DOT compliant lighting—a standard that keeps us "hassle-free"